An association that started 40 years ago with the very beginnings of space exploration and is still going strong today. Long before the term “space race” was coined, OMEGA was renowned for its pilot watches: Having supplied the British Flying Corps as early as 1917 and later its successor, the Royal Air Force (as well as the British Army) during World War II, the brand soon became official supplier to numerous other armed forces. In 1942, OMEGA launched its 27 CHRO C12 calibre – the forerunner of the calibres 321 and 861, which would later equip the Speedmaster and the smallest chronograph movement in the world at the time. When the first OMEGA Speedmaster was launched in 1957 as a robust sports chronograph that allowed the time to be read clearly and easily, nobody could have imagined that a legend had been born. In fact, the watch fulfilled its remit so well that it was the only chronograph from a group of 12 brands purchased anonymously by NASA for its strict tests for use in space missions – tests that included exposure to extreme temperatures, vacuums, intense humidity, corrosion, shocks, acceleration, pressure, vibrations and noise. The ensuing list of superlatives makes compelling reading for any avid watch collector, hardly surprising for one of the few watches that is so famous it even has a nickname: The Moon Watch. As the only chronograph to be flight-qualified for manned space missions by NASA on 1 March 1965, the Speedmaster was standard issue for all American astronauts and therefore became the first watch to be worn in outer space (outside a spacecraft) and subsequently the first watch to be worn on the moon when Apollo XI landed there on 21 July 1969. The temperature extremes of +100 to – 50 degrees Celsius, as well as the lower gravity encountered there illustrated the need for NASA’s strict tests, but nevertheless had no effect on the Speedmaster, which continued to function perfectly. As accurate timing to the second became increasingly important in the Apollo programme, so too did the OMEGA Speedmaster. It even proved life-saving on the troubled Apollo XIII mission, when it was used to time to within a fraction of a second the firing of the re-entry rockets whilst the spacecraft was out of communications range on the dark side of the moon. As a result, OMEGA was presented with the “Snoopy” Award – the highest honour awarded by NASA astronauts. Though little needed, the Speedmaster Professional’s reputation received a further boost in 1975 on the occasion of the Apollo-Soyuz rendezvous. This historic docking between a Soviet and American spacecraft at the height of the Cold War revealed that the Soviet cosmonauts were also wearing the Speedmaster. Though the watches had been offered to the cosmonauts by OMEGA, to ensure that they were on time for the rendezvous with their American counterparts, what OMEGA did not discover until 14 years later was that the Russian space agency NPO Energija also subsequently adopted the Speedmaster as standard equipment, covering its requirements totally anonymously by government purchase orders. As part of the preparations for the Space Shuttle programme, NASA reviewed its entire range of equipment, effectively starting from nothing and requesting proposals from suppliers, including some thirty chronograph manufacturers. OMEGA naturally submitted its proven Speedmaster, whose extraordinary resistance and reliability was confirmed when NASA again chose this legendary watch. Once more, the merits of OMEGA’s manual-winding mechanical watch movement proved unbeatable for use in outer space! In 1992, OMEGA itself took the initiative and drew up a list of specifications in conjunction with American and European astronauts (including Swiss astronaut Claude Nicollier) and Russian cosmonauts with a view to developing a watch specifically for use in space. 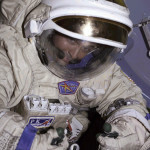 Thanks to OMEGA’s long-standing links with the Russian space agency, the brand was even privileged to be able to use the MIR space station as a test laboratory in space. 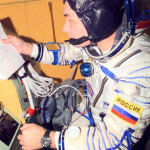 The result was the Speedmaster Professional X-33 multifunction quartz watch, which, in addition to the Speedmaster Professional Chronograph, forms part of the standard equipment issued to all astronauts and cosmonauts departing from US and Russian space centres and is therefore worn by all visitors to the International Space Station (ISS). The start of the third millennium saw a revolutionary step in the field of space exploration with the first “space tourist”. The world’s first fare-paying passenger into space was 60-year old American billionaire Dennis Tito. Like all professional astronauts, Mr Tito received a Speedmaster Professional X-33 to record all the important moments of his once-in-a-lifetime experience. The OMEGA Speedmaster Professional Chronograph nevertheless remains the true space watch, as the only timepiece flight qualified by NASA for extra-vehicular use and chosen by the Russian space agency for the same purpose. Forty years after Man first ventured into space, it is the same Speedmaster, with relatively minor changes to the design and the movement, that sets the standard for precision timekeeping… even in the most extreme circumstances known to mankind. This entry was posted in Press Release, Speedmaster Professional and tagged Moonwatch on April 4, 2002 by Dale Vito.